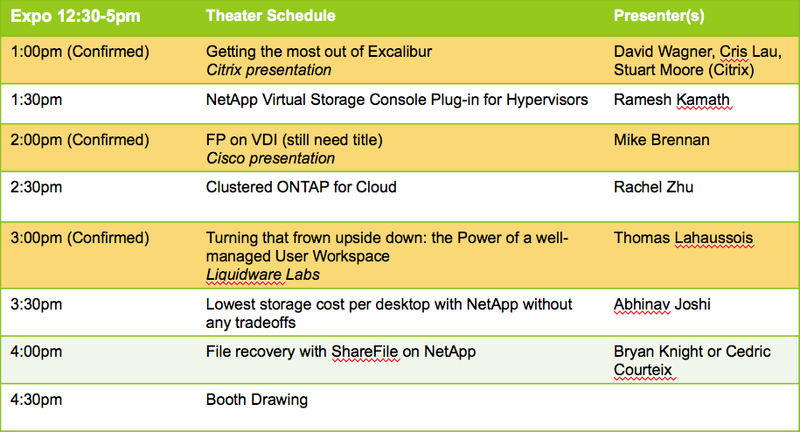 Citrix Synergy 2013 is next week. I have been preparing the presentation and booth demos. If you mention my blog, I will buy you a beer. Looking forward to meeting you. 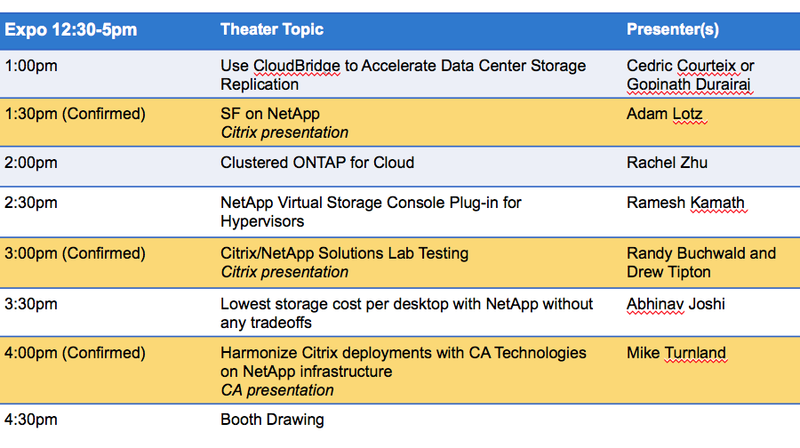 Below is NetApp mini theater topic and time. I wish you could win a iPad.